Chipotle managed to come up with new corn and flour tortillas made with only between two and five ingredients compared to fourteen or more ingredients you'd find in tortillas at the store or from a fast food chain. In doing so, the chain has become the only national restaurant brand without any added colors, flavors, or preservatives in its food in the US (except for lemon and lime juice, which can be used as a preservative but that the chain uses for flavor). Their drinks however may contain all of the above since they're produced by big name beverage makers. 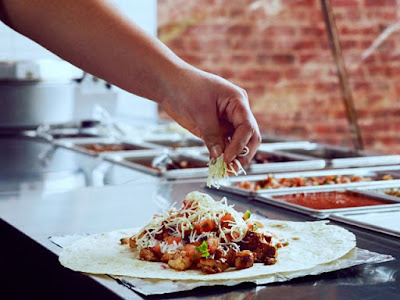 The tortilla change marks the culmination of the company's efforts to get rid of unnecessary additives and preservatives from the tortillas used to make their burritos, tacos, and chips. The new flour tortillas are made with flour, water, canola oil, salt, and yeast. 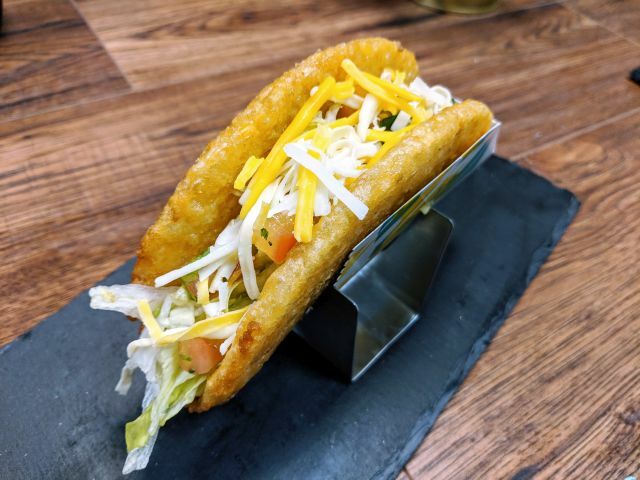 The corn tortillas for chips are made simply with corn masa flour and water, while the corn tortillas for tacos also include lime (the mineral). For comparison, the flour tortillas at McDonald's contain the following ingredients: "Enriched Flour (Bleached Wheat Flour, Malted Barley Flour, Niacin, Reduced Iron, Thiamine Mononitrate, Riboflavin, Folic Acid), Water, Shortening (Intereserified Soybean Oil, Soybean Oil, Hydrogenated Soybean Oil, Hydrogenated Cottonseed Oil), Contains 2% or Less: Sugar, Leavening (Baking Soda, Corn Starch, Sodium Aluminum Sulfate, Calcium Sulfate, Monocalcium Phosphate), Salt, Mono-diglycerides, Vital Wheat Gluten, Dough Conditioner (Sodium Metabisulfite, Corn Starch, Microcrystalline Cellulose, Dicalcium Phosphate)." The recipe changes for the tortillas are not meant to impact their taste or appearance.